We have finally made it into the final part of our tour. After more than a week on the road, we have finally reached our final day on the road. We woke up to a very beautiful morning. 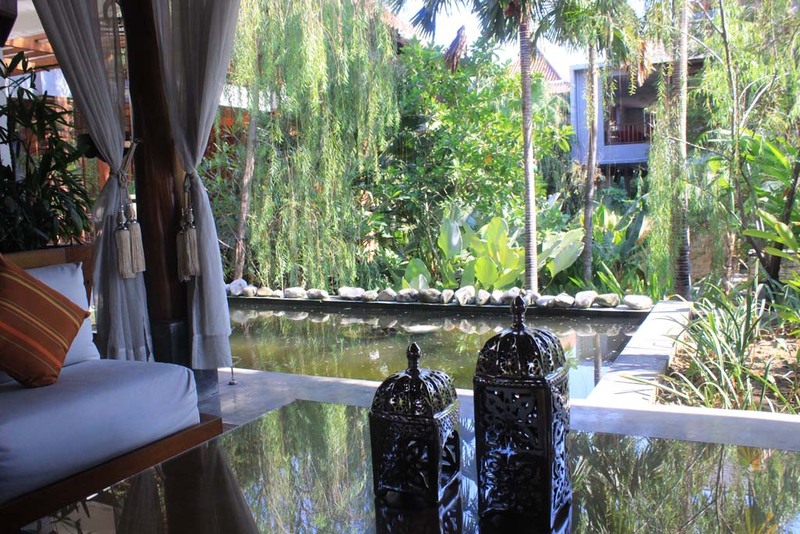 The hotel’s lush greenery gave a homey feel into this place. It’s time for us to have a breakfast. 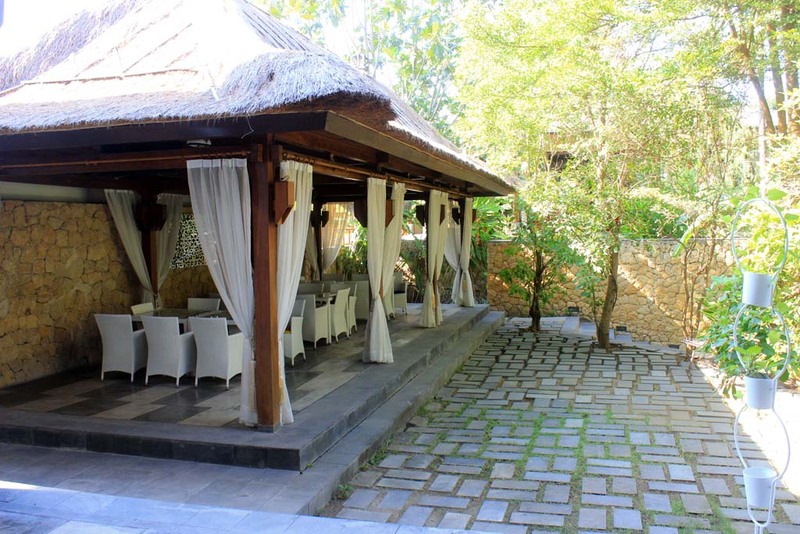 Unfortunately, unlike all hotels that we have stayed before, where upon arriving at restaurant we will be greeted by servant or F&B manager; in here no one greeted us. There are some food served on the serving table, but we can only guess if it’s for us. So we took them anyway. 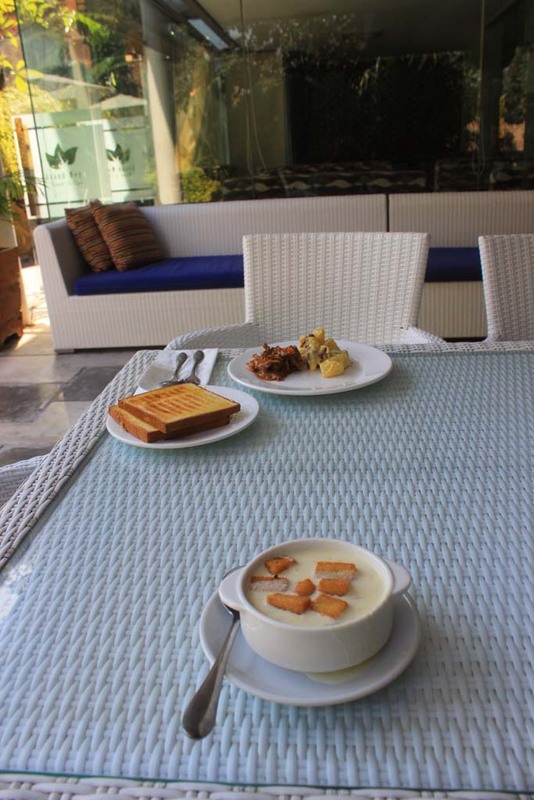 We choose the poolside seating area where we ate breakfast while enjoying the sight of (empty) swimming pool. The restaurant very quiet this morning. Other than us, there was just two other guests whose are having breakfast. The noisy oil workers that we encountered last night are nowhere to be seen. They might have either left or probably still asleep. The food variety is actually great. They have plenty of delicious menus on the table, although they actually need more cleaning. 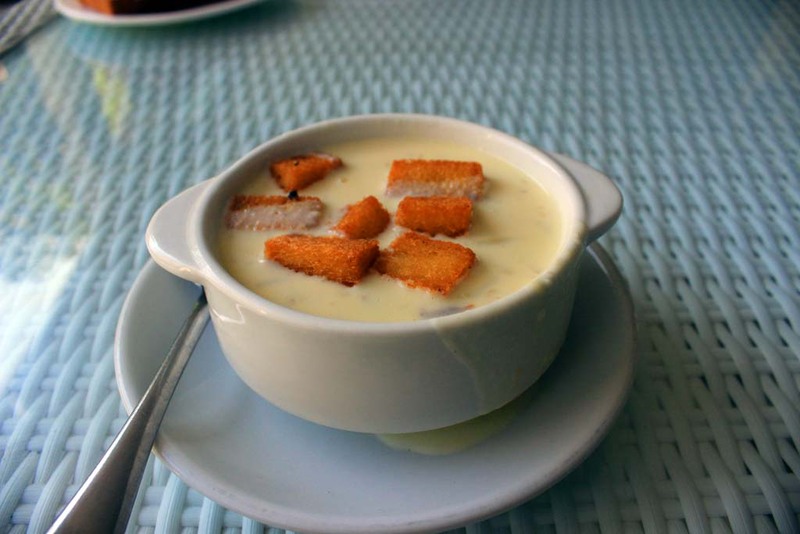 The first course that I take is this Chicken cream soup with croutons. For the taste I rated 7 out of 10. Then I took a mixture of Beef Stroganoff and creamed potato with sausage. 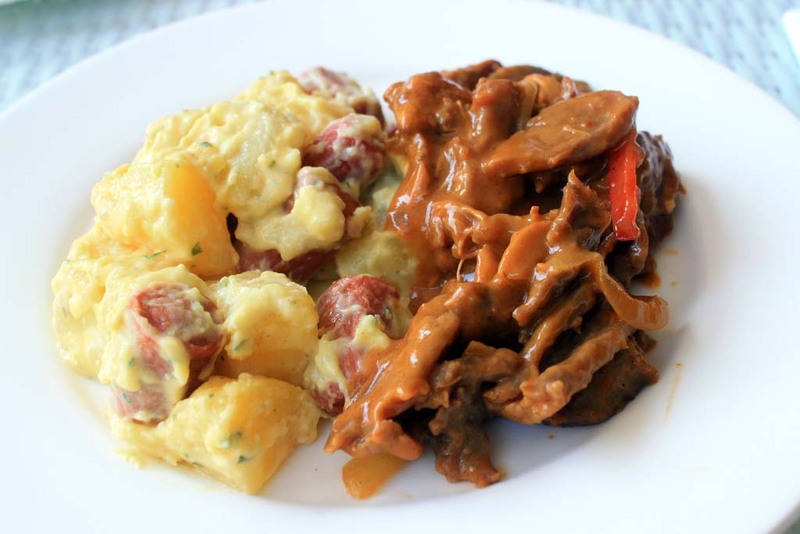 The potato tasted mediocre, but the Beef stroganoff is tender and delicious. 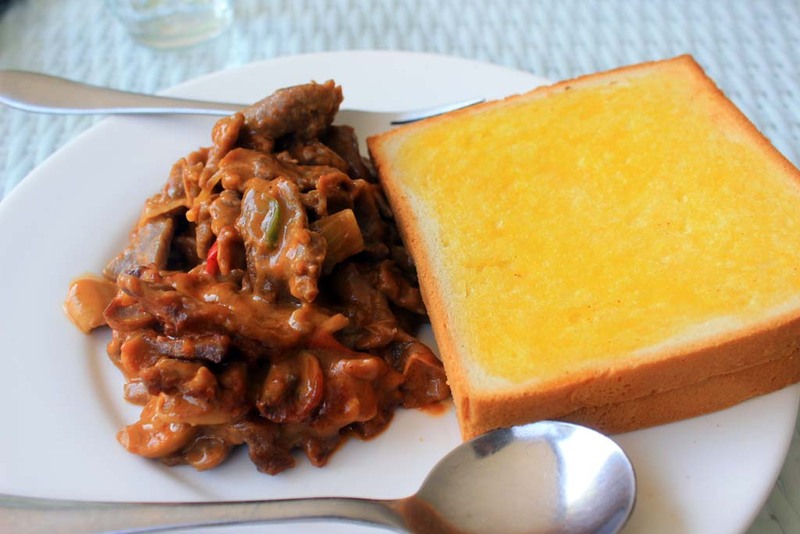 So much that I decided to take additional Beef Stroganoff, served with toasted bread. While I enjoying food, I also see some unprofessional conduct shown by the hotel workers. Some servants can be seen sneaking into the smoking room, relaxing and reading newspaper. The cook who preparing the omelet and eggs couldn’t keep her stations clean and tidy, despite the fact that there were very little duties to do. Some servants tend to be ignorant towards guests. 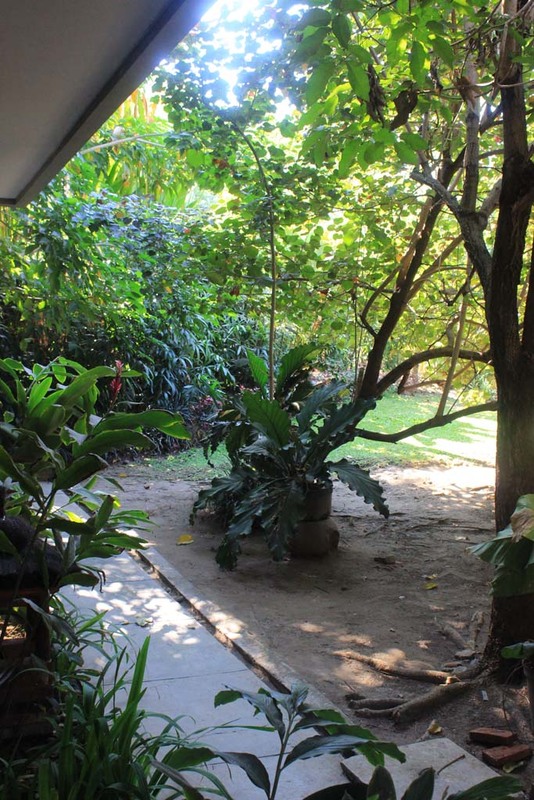 After finishing our breakfast, we returning back to our room to have a shower and packing up. Then we head to receptionist to settle the bill and check out. However on the receptionist, I also see another unprofessional conduct displayed by the hotel’s employee. Aside of the putrid smell on receptionist area, when they handed the bill to me, I was stunned to see that it amounted more than 4 million rupiahs! I protested, and after some investigation it turned out that they have made some mistake, and handed me the correct bill. After I made the payment, we head to our car and resumed our journey. 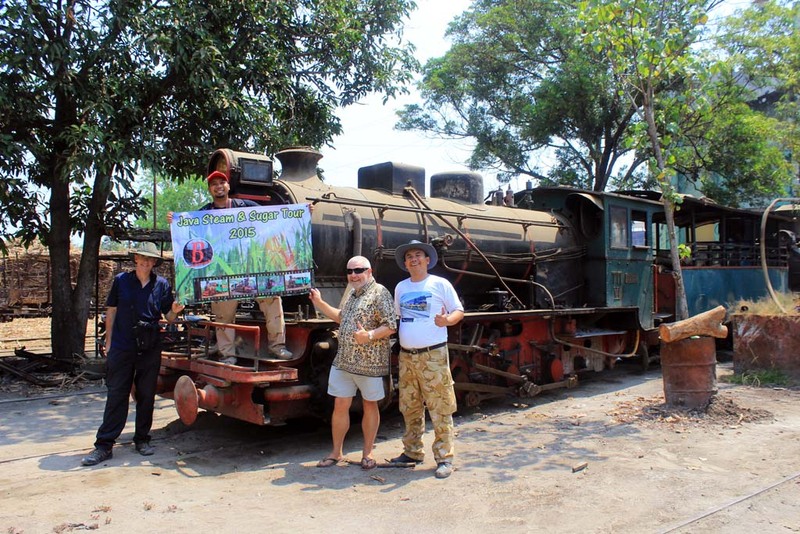 Our itinerary today is quite short: we would like to visit the Cepo logging railway to find out more information about their operation and price, before heading back to Surabaya through the North coast line, pacing with the trains (if we see any). Although Cepu is a small town, finding the logging railway center is tricky. Our GPS couldn’t pinpoint the location as it is not listed. But after tracing the remains of former Cepu-Blora branchline, where along the way we saw the former Cepu petrol branchline which was closed in 2008 when a car accidentally rammed into a loaded petrol car causing huge explosions that burned almost the whole suburb; and former Cepu downtown station, we eventually find the logging railway depot. Cepu logging railway is the only non-State Railway operation who operate on the same gauge as the mainline (3ft 6in). Unless that regular working have long ceased and now confined for tourist operations only. Upon arriving at the locomotive depot, we were greeted with suspicion by the logging railway crew. 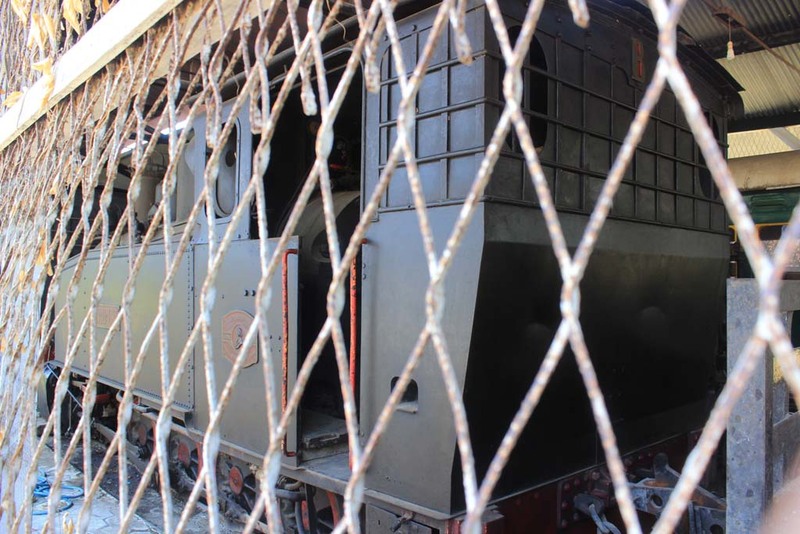 When we requested permission to have a look at the locomotive, they denied this outright. They said that if we want to see, we must write a letter requesting permission to see the locomotives. The letters would then be processed in a few days before the management grant permission. And upon inspecting the shed we would be accompanied by local policemen and soldier from the nearby army garrison. We were totally shocked and perplexed by such lengthy and complicated procedure imposed, just in order to see the steam locomotive! In other places, a simple greeting might do the job. Beside that these are not military installations, nor vital objects! Considering that our aim was just to see the locomotive, and we only have very little time allocation, I asked for leniency. The Cepu logging railway crew responded by saying that we must head to the management office to ask the permission. So I decided to head to the office to meet anyone who might have authority to override the hostile crew in the locomotive depot. Upon arriving at the rather quiet office, I was greeted by the receptionist. The receptionist staff is an elderly old man who seemed to have no clue on how to handle guest. 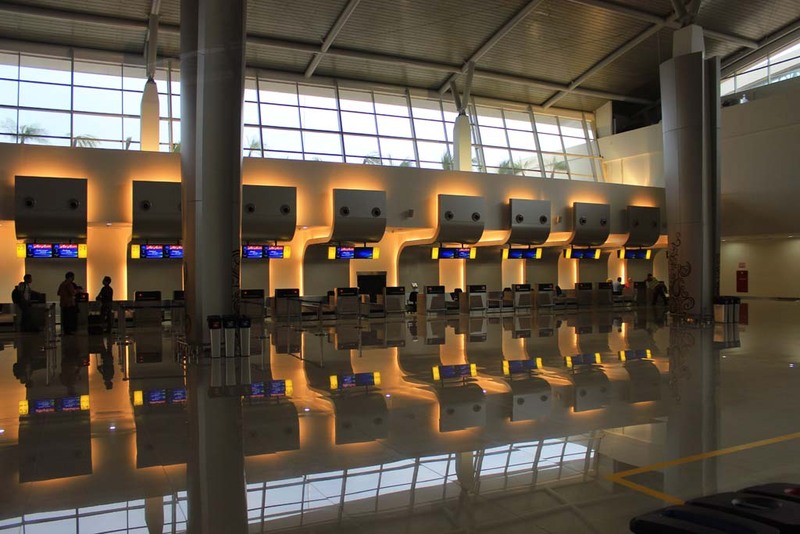 Instead of directing my to anyone with proper authority, he kept on mumbling, either about lengthy permission procedures or the bosses who goes on holiday in Semarang. I was asking whether if it’s possible to just pay some fees like what I did on sugar mills just to get access, instead of having had to endure lengthy permit process. It’s not a bribe, but it is a common thing in most railway premises, unless if it’s mentioned as free. Again he kept mumbling and can’t deliver clear and direct answer. Feeling furious and disappointed, I abruptly left that jerk and returning back to the loco shed where Stephen and my brother waiting. I explained everything, and everyone was disappointed. Although we have explained everything, and even trying to persuade the shed crew, it was no avail. The stubborn crew kept refusing us to see the locomotive. 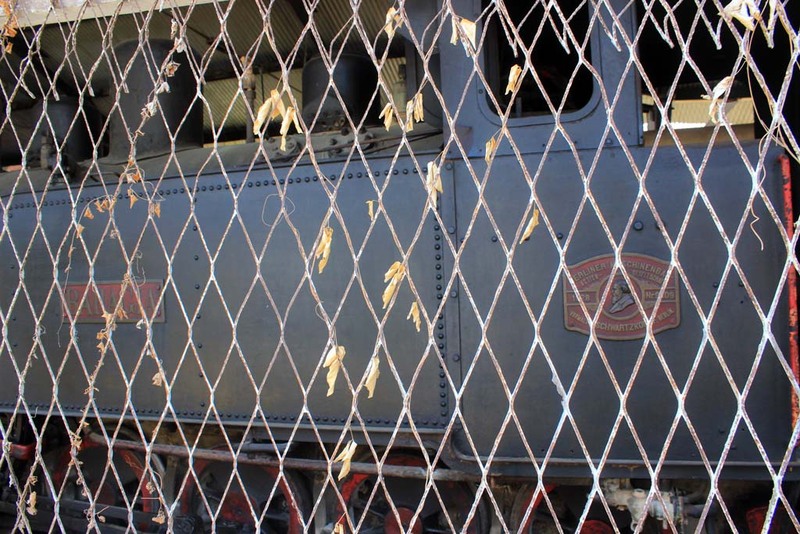 They even said that local kids are also forbidden to get near the locomotive shed. Rather than arguing further, we excused ourselves to go to the toilet. But since the toilet itself is located next to the locomotive shed, we seized the opportunity to photograph the star locomotive of Cepu, the Berliner 0-10-0 “Bahagia”. This is the first time I see this loco in 10 years. Back in 2005 I was invited to ride a steam tourist train that travel between this place and Gubuk Payung, deep inside the forest of Cepu. It was a long and enjoyable 6 hours journey. But the fortune of the railway operation seemed to fluctuate since then. The rail bridge that crossed on the top of main highway has been knocked off its mounting twice by passing oversized trucks, causing truncation of the railway operation. But I heard that a new lift bridge have been installed to prevent the bridge from being knocked off again. Apparently our joy was rather short lived. The employee who kept whisking us away caught us, and booted us out of premises and locked out the gate! Wow! That has been the most hostile host that we have visited. Our hope in finding more information regarding to tourist trains have virtually evaporated. So we returning back to Surabaya empty handed! I later learned the reason behind such hostile treatment from one of my friend who lives in Cepu. 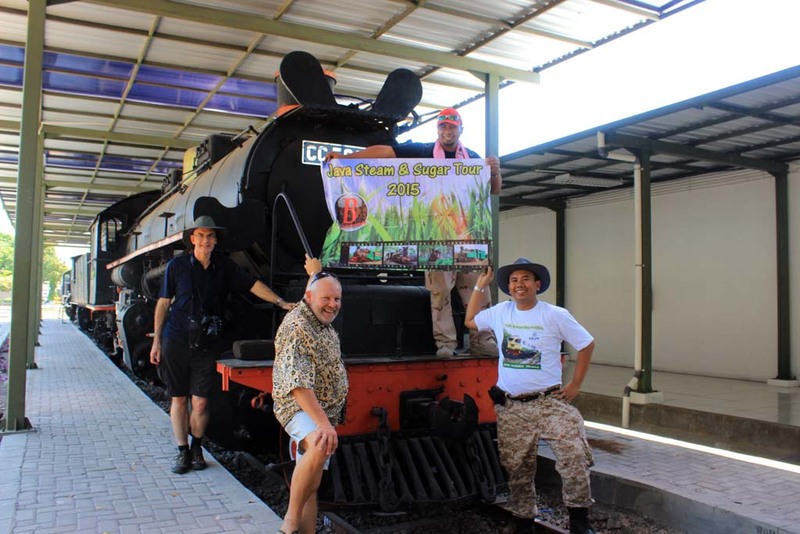 He said that some years ago the company who operates the Cepu steam train facing litigation case, as one Dutch tour organizer who hired the train in the past suing the train operator. Although my friend makes no mention about the outcome of the court case, but since then they decided to lock down the shed and making it off limits. They have become paranoid towards strangers. And a presence of Caucasian person would only heighten the tension. Now we got the clear picture of why they imposing such outrageously restrictive rule, which involve police and army. Those officers, in some way, are not intended to protect the tour participants from outside threat. But instead they’re actually tasked to protect Cepu train operator from being instantly sued by their unsatisfied customers. In case if the foreign customers enraged, these officers could easily kicked these people out. Stephen guessing that there might be some accident in the past which causing injury amongst the foreign participants, while I’m guessing that there might have been some breach of contract, where instead of going to Gubuk Payung (as probably promised) they only go as far as the yard, yet still charging full fee to the customers. This doesn’t go well with the Europeans whose are known for being very perfectionist when demanding tour. Whatever the reason was, this has been an annoying anticlimax of our tour. The trip to Surabaya went on smoothly, without too much traffic jams on the road. 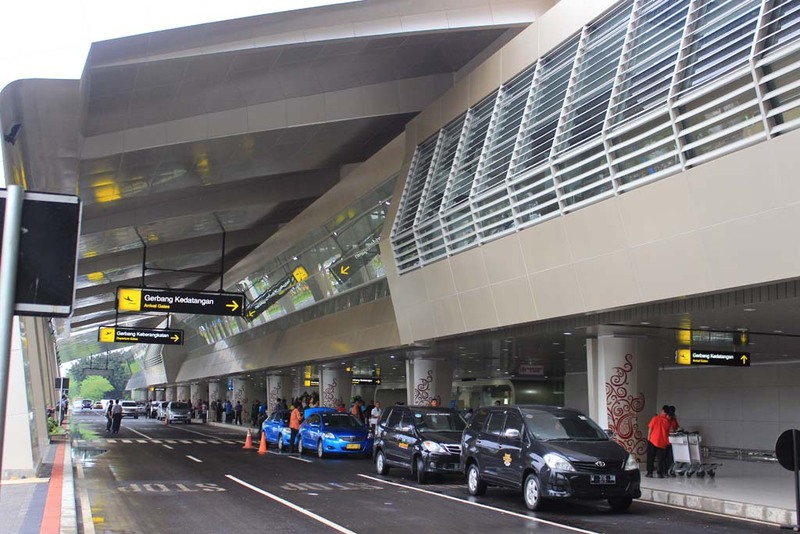 We were happy that the main road is located adjacent to Surabaya-Jakarta North Coast mainline. But the downside is, we encounter very little train aside of some local trains in Bojonegoro. 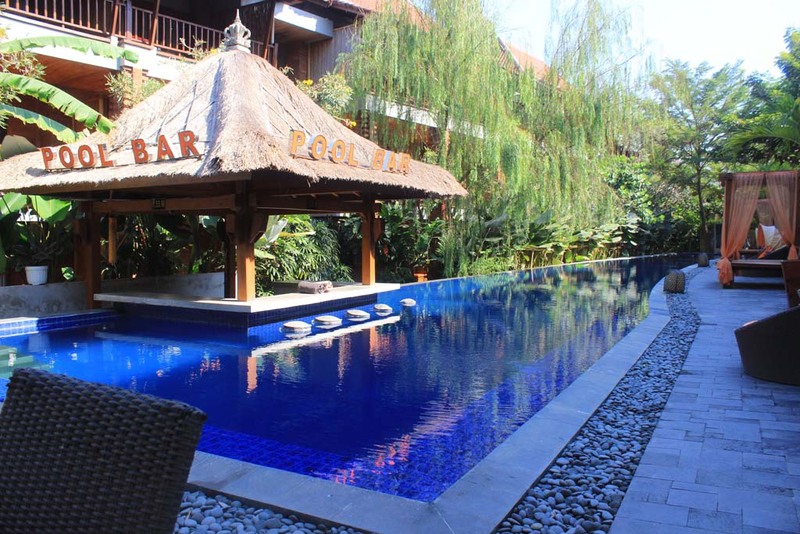 Upon arriving at Surabaya, we took Stephen to his hotel so he can have rest and relax while me and my brother returning back to our home. I took early sleep as Stephen will catch a very early flight on the following day. 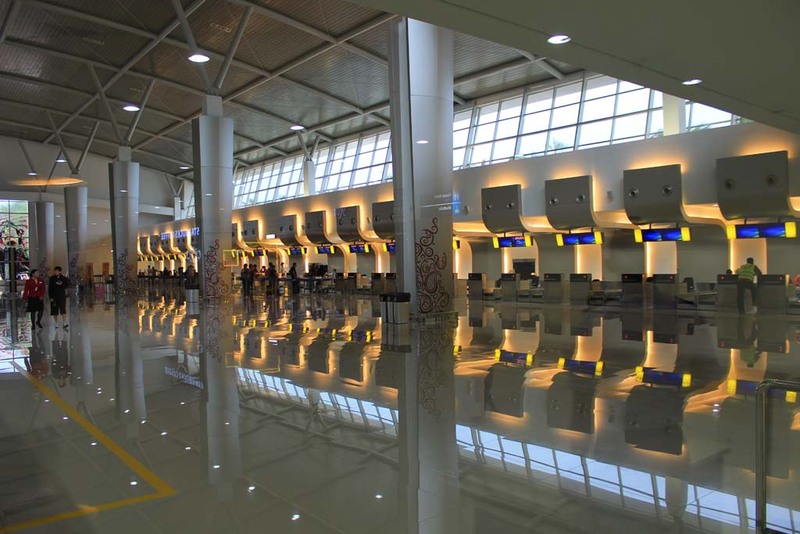 After I pick up Stephen from his hotel, we head straight to Juanda airport’s Terminal 2. Upon arriving at the airport I took him to the check in desk, where we bade farewell and Stephen continue his journey to Bali, before heading home to Australia. Upon reflecting on our tour, we think the tour has been a very successful one. 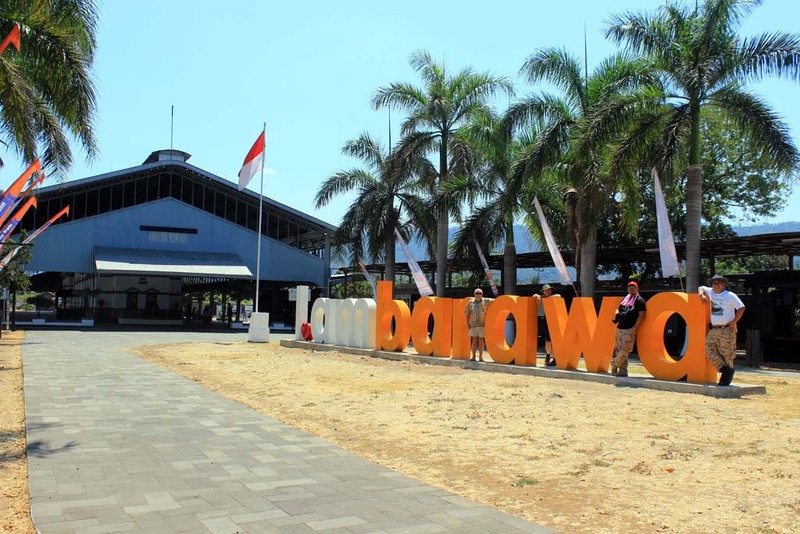 I have also seen some positive changes in some places such as Ambarawa railway museum, where the museum has been upgraded into an international standard (although the placement of the locos under the roofs seemed to be unpopular among foreign railfans). Not all changes are perceived in a positive manner. The winding down of regular steam operation on most mills might be the biggest turn offs for everyone. 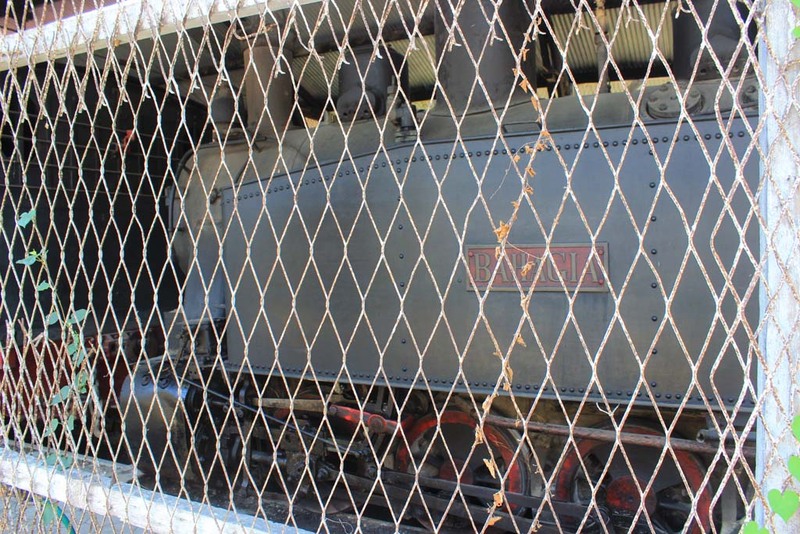 Some mills have relegated their steam locomotive to chartered runs, such as what we saw at Olean, Kanigoro, or Tasikmadu. In fact we cancelled our plan to visit Sumberharjo sugar mill in Pemalang, largely due to this (and also the closure of its field lines). But one of our biggest upset had to be seeing the giant Luttermoller Tasikmadu VI sits cold. The first time I see her stood still. But overall, we still held our head up high that the following year we will be able to have a better tour. We hope that you enjoy reading the story. 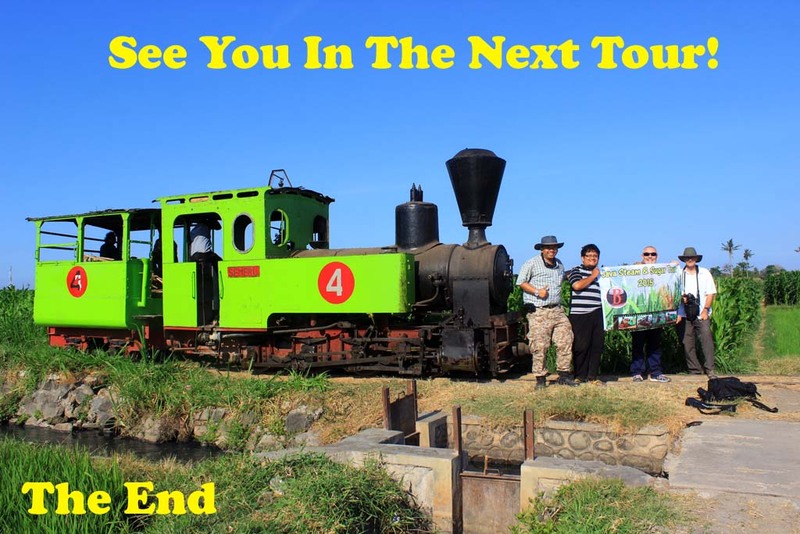 If you want to have similar tour like this, probably in December 2015, or next year, don’t hesitate to contact me through my e-mail at bagus70@yahoo.com or bagus@indonesianrailwaytour.com . A very nice entry that I have enjoyed reading. I wish you every success.